I have blogged in the past about misidentified portraits. Identifying portraits is a tricky business. Often art historians will look at the costume, jewelry and props surrounding the portrait. To determine dates, x-rays and carbon dating can be employed. But even after science and the most knowledgeable art historians weigh in, we often still get it wrong. Examples of famous people misidentified include the painting of Lady Jane Grey by Master John (shown here). Susan James was the first to identify this painting as Katherine Parr (The sixth wife of Henry VIII) and not the tragic nine day queen. 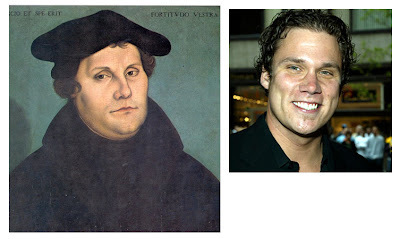 Object: To find people in portraiture that look like celebrities. Play: Once a famous person is identified in a portrait, the other player has the right to “contest” the call. Contesting a call requires enlisting the help of a “judge” in the form of a stranger, museum curator or 3rd party not involved in the game. The judge must determine if the celebrity look-a-like call is a bad match. If the match is determined a bad call then the player who made the call loses 6 points. You can only contest 3 calls in one game. Winner: The person with the most points at the end of the museum trip. 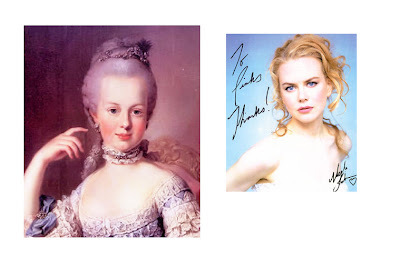 I have always thought Nicole Kidman was a dead ringer for Marie Antoinette. This portrait by Austrian painter, Martin van Meytens portrays Marie Antoinette at the age of 12. Nicole's forehead is not as high and she is certainly missing the Hapsburg chin, but there is something oddly Marie Antoinette-like about the Aussie star. 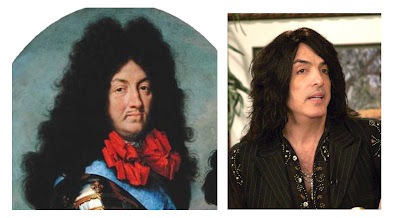 OK I am going to date myself on this one, but Paul Stanley (from the rock band KISS) IS Louis XIV reincarnated. I found this one recently on Tudor History.org. It turns out that some sly archaeologists found the remains of Nicolaus Copernicus and used forensic facial reconstruction to make this image of the famed astronomer. 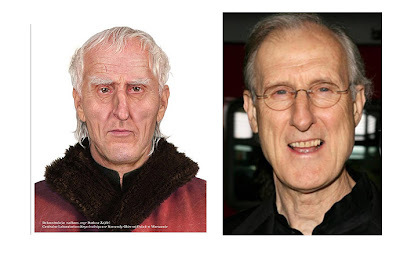 I think that they really stole James Cromwell's DNA. Despite the fact that this one is worth only 2 points, I still think it is a good call. Most of you probably won't know who this Reality TV star is unless you watch ABC's The Bachelor. This was Bob The Bachelor (Yes they really called him that) and now I have lost all credibility by admitting that I watch The Bachelor. This one got "contested" and I think wrongly so. 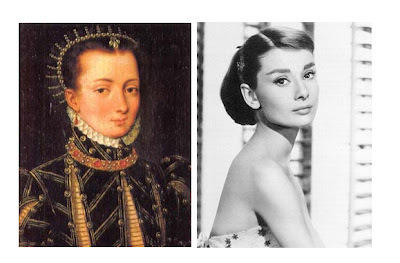 There is something about these two femme fatales that makes them seem like they could be related in a past life. 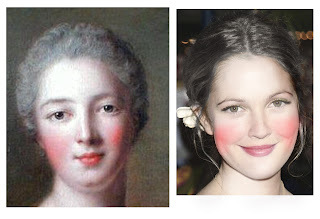 To prove this point, I have added the Vermilion cheeks and a little grey powder to Miss Barrymore's picture. Although no one knows what Henry VIII's second wife really looked like, in this painting, she is screaming Breakfast at Tiffany's. I will admit that some of these examples are better than others. But you can see how easy it is for two unrelated people to look similar. What are your favorite Celebrity/History look-a-like? Wow!! I think these are great. Your choices are such a match! okay that was hilarious! what a neat idea! I'm here via Dolce B. and well wow, what a blog... great fun, congratulations! By the way, I posted a review of your book on Blogcritics.org (4 million page views monthly sitewide): http://blogcritics.org/archives/2008/11/30/191725.php, my blog, Amazon, Chapters, Librarything and Bookmooch, enjoy! Oh that is a GOOD one! The nose and the eyes are dead on.